Due to the overwhelming positive response to Mindful Liberation Project considering hosting a workshop on radical mental health at the Richmond Zine Fest, we are now added to the workshop schedule on Saturday. Thanks to the Richmond Zine Fest organizers for working with us in adding the workshop at the last minute! We were waiting to hear back from folks about what they would like to see in our potential workshop. Here is what we came up with, based on feedback from the community. Description: This workshop will introduce folks to the idea of mental health from a radical, community-supported model, that encourages both proscriptive and prescriptive action to maintain mental wellness on individual and community levels. This workshop will be of use to those feeling burnt out, isolated, depressed, overwhelmed, in life, in work, in activism, as well as those just curious on radical alternatives. Remember, MLP organizers will be available to chat before and after the workshop at the Something Something Press table. We will be tabling with radical mental health items (books, zines, art, etc) all day. The Richmond Zine Fest will be held on Saturday, Oct. 6th, 11:00 AM – 6:00 PM, at the Gay Community Center of Richmond located at 1407 Sherwood Ave, Richmond, VA 23220. 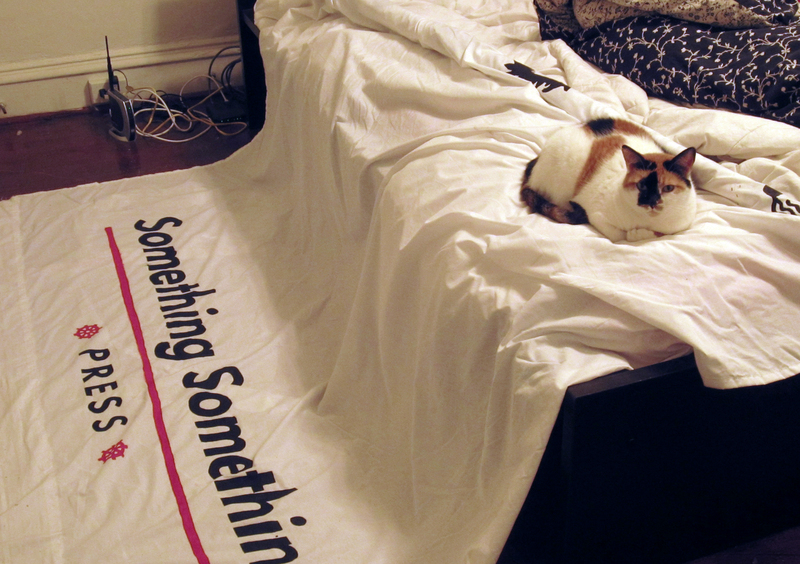 Make sure to look for this banner, minus the kitty…!